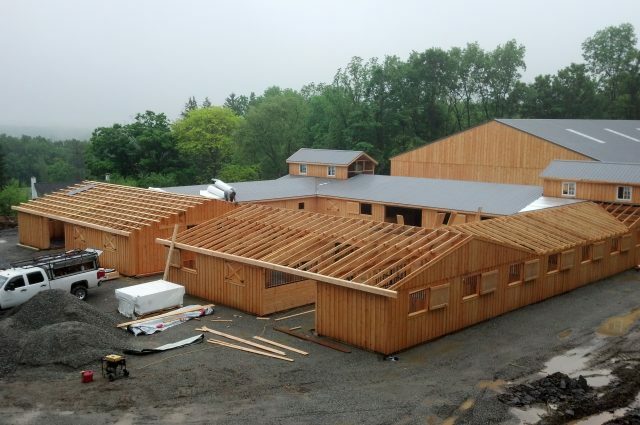 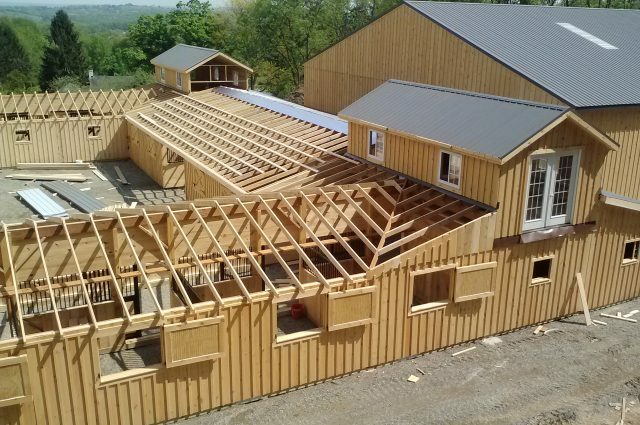 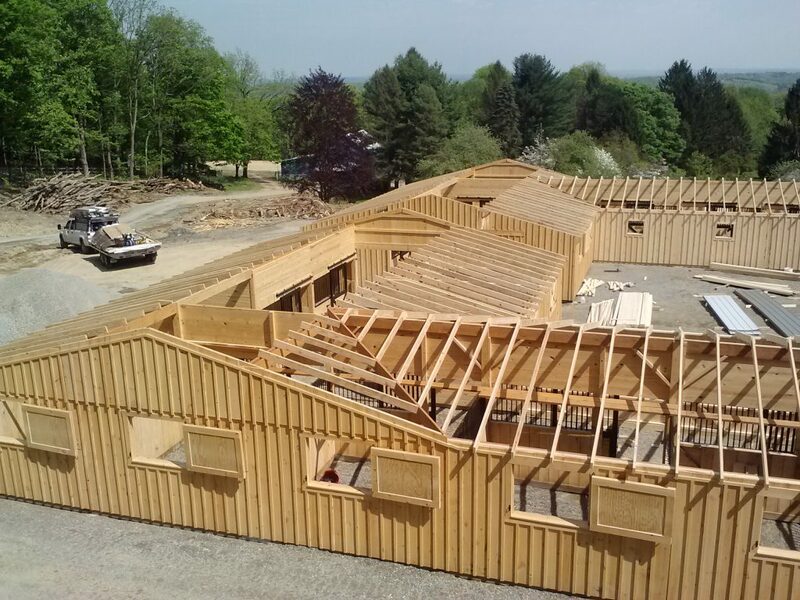 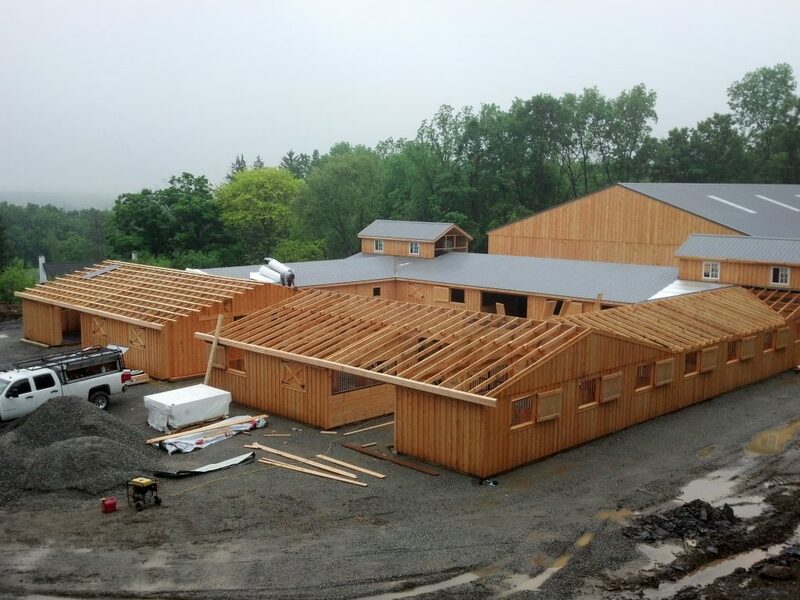 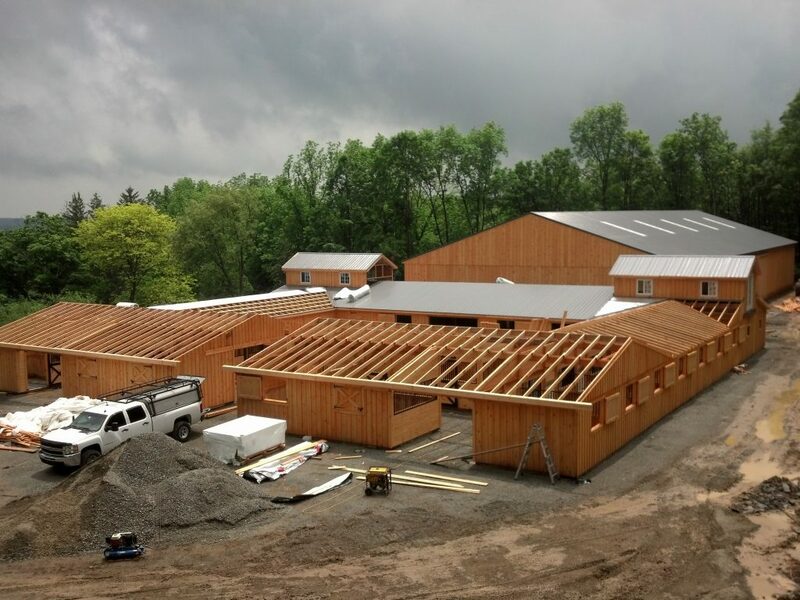 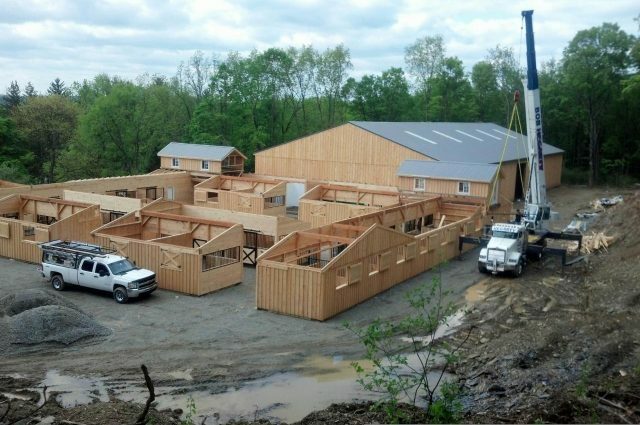 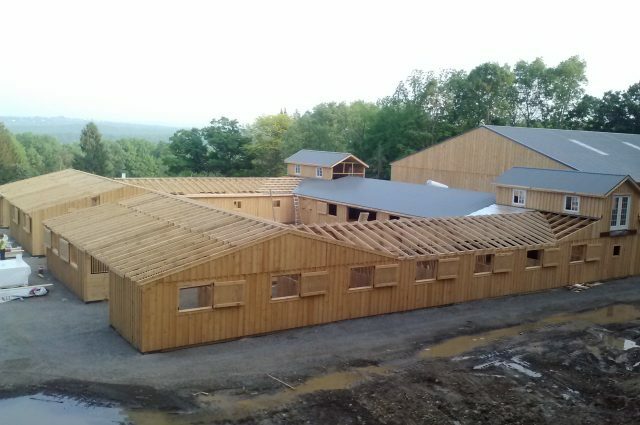 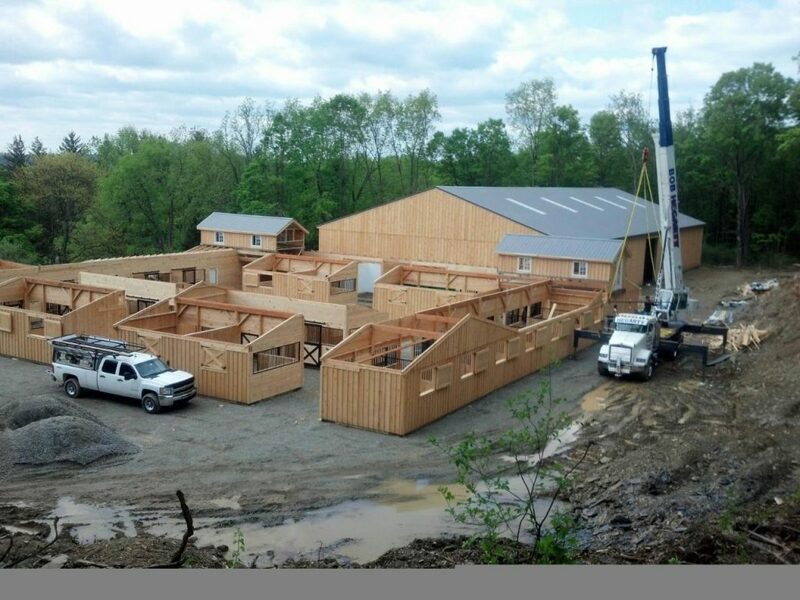 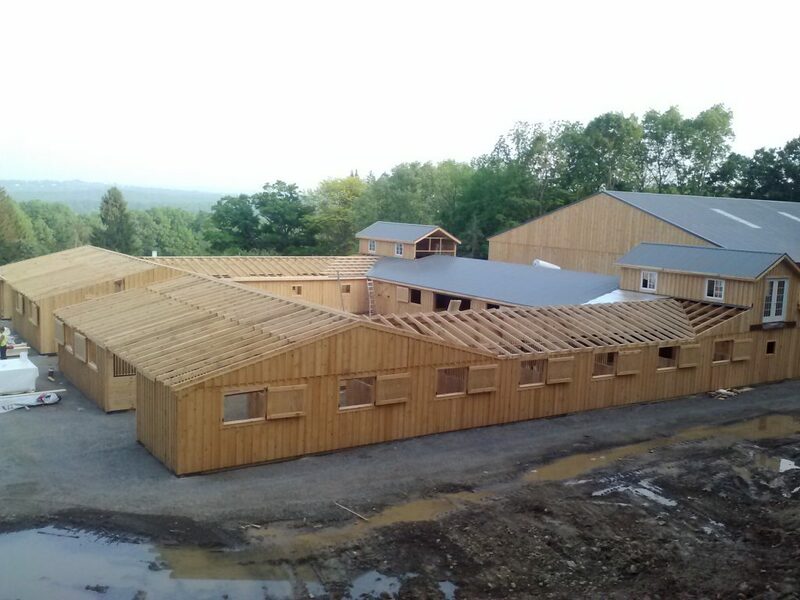 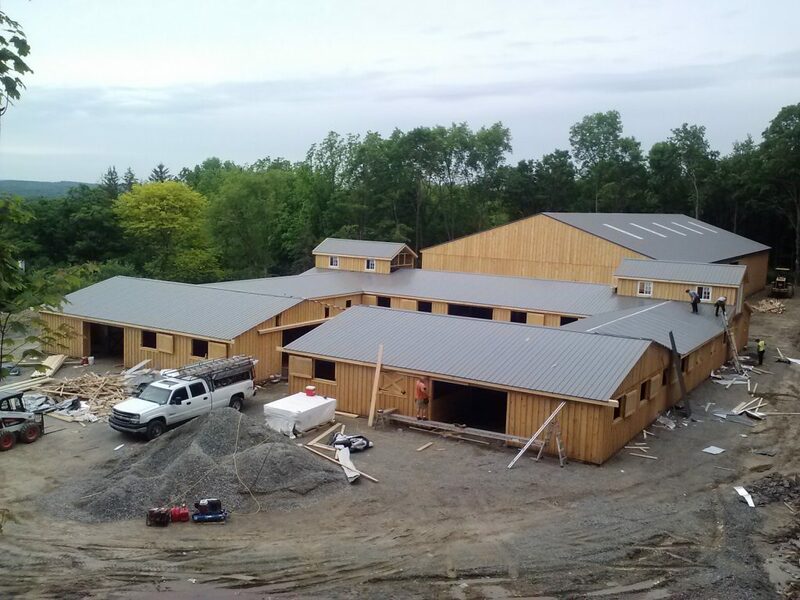 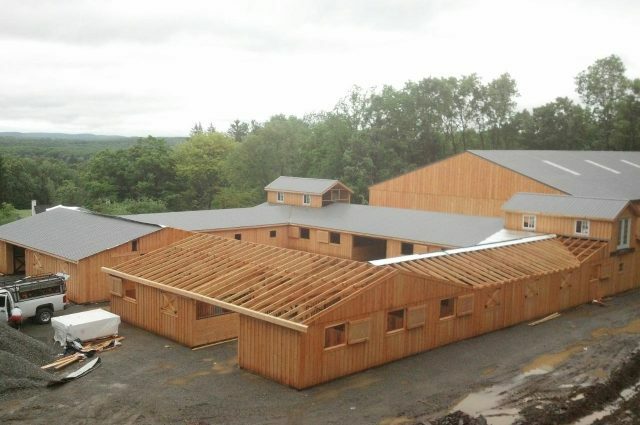 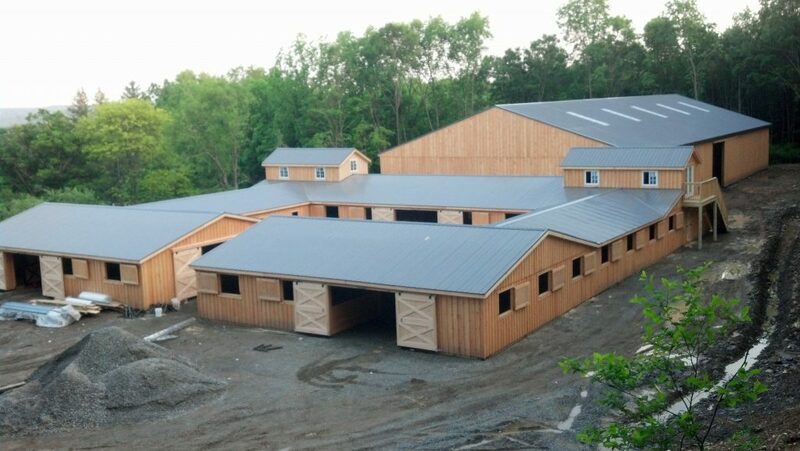 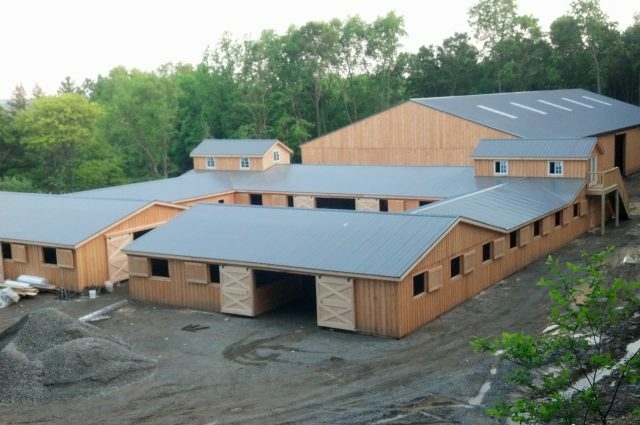 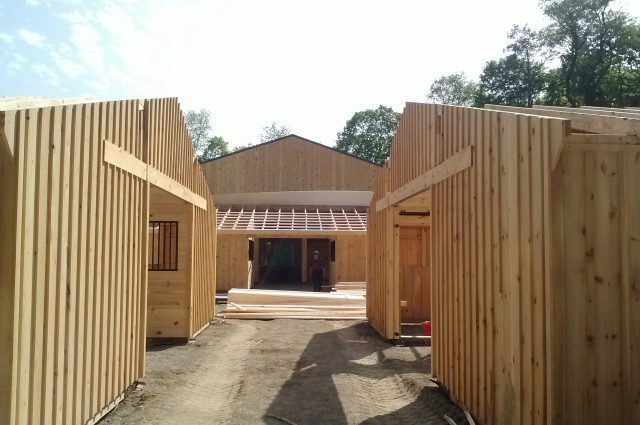 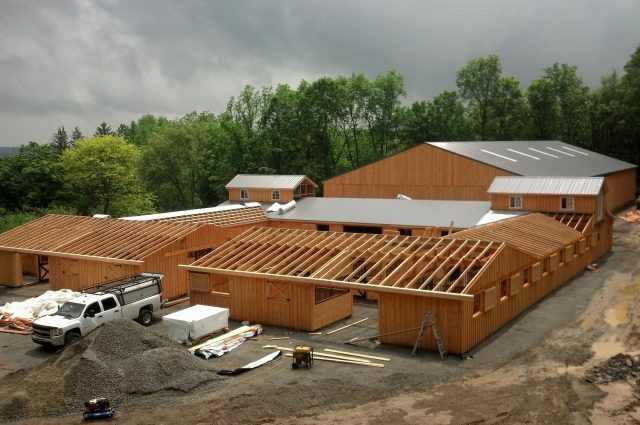 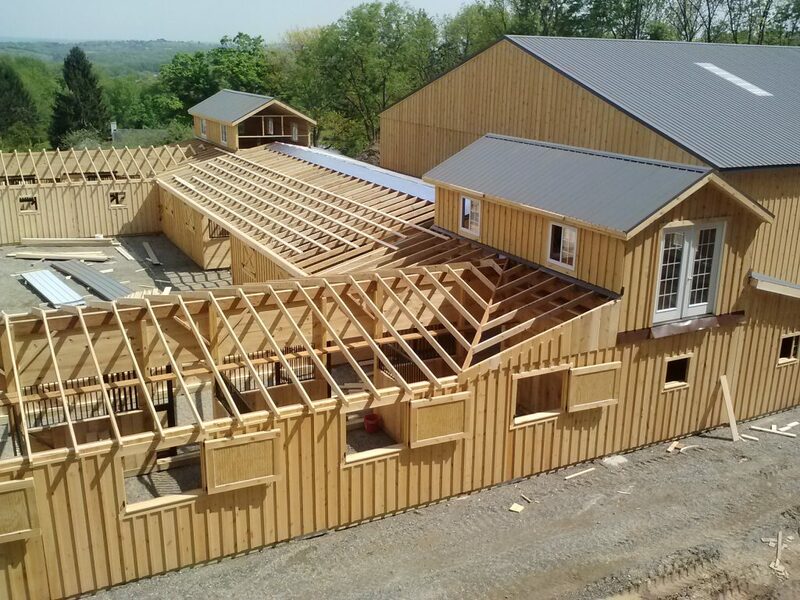 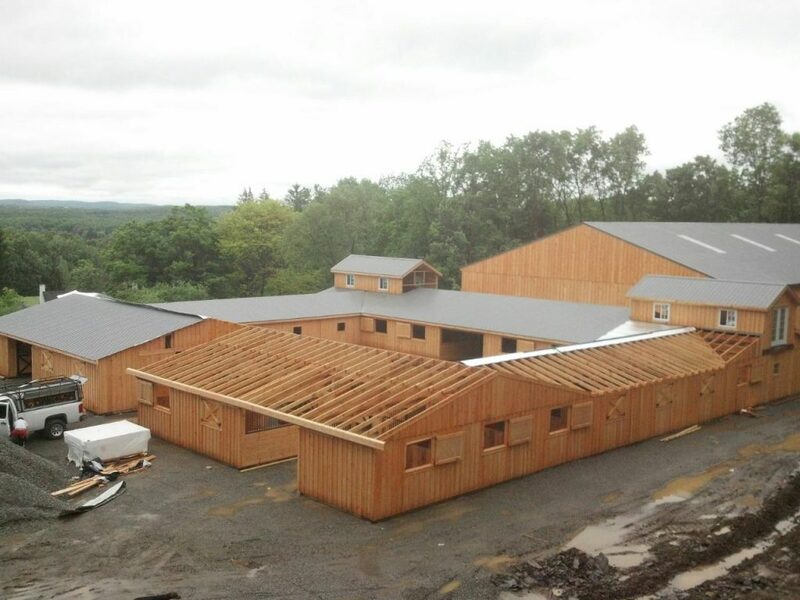 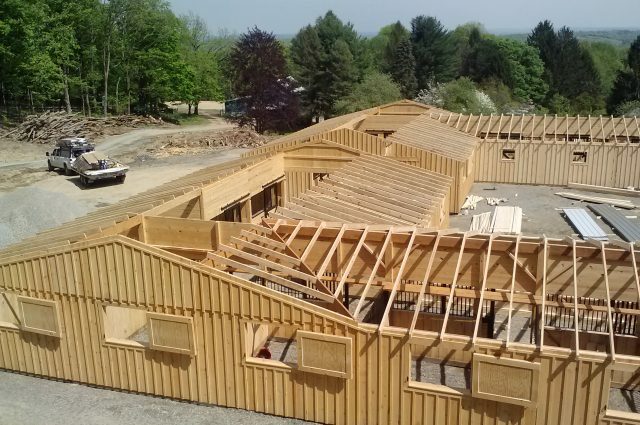 This special barn project is extraordinary in size and functionality. 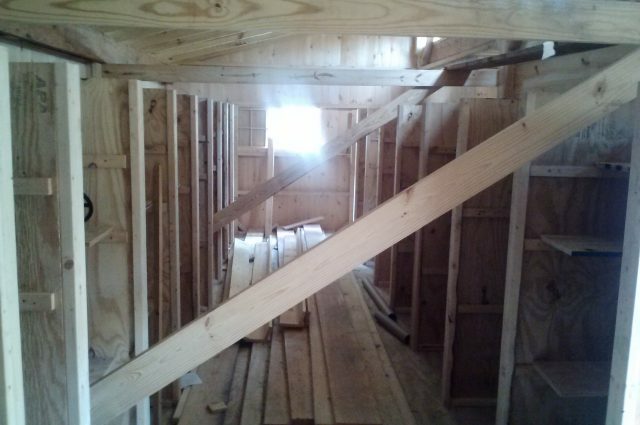 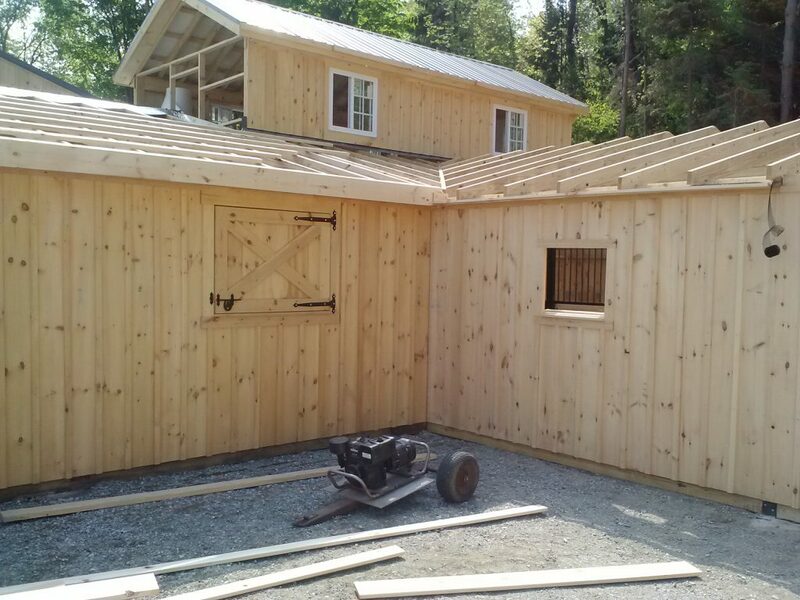 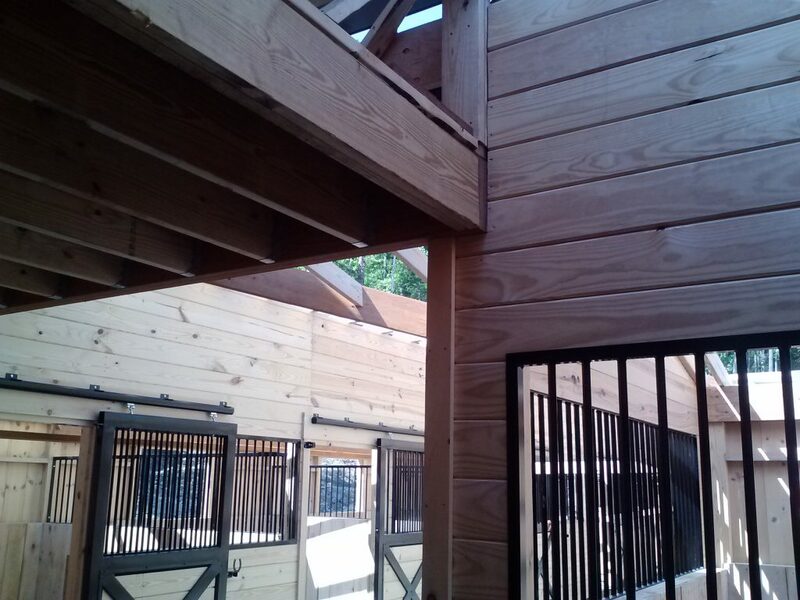 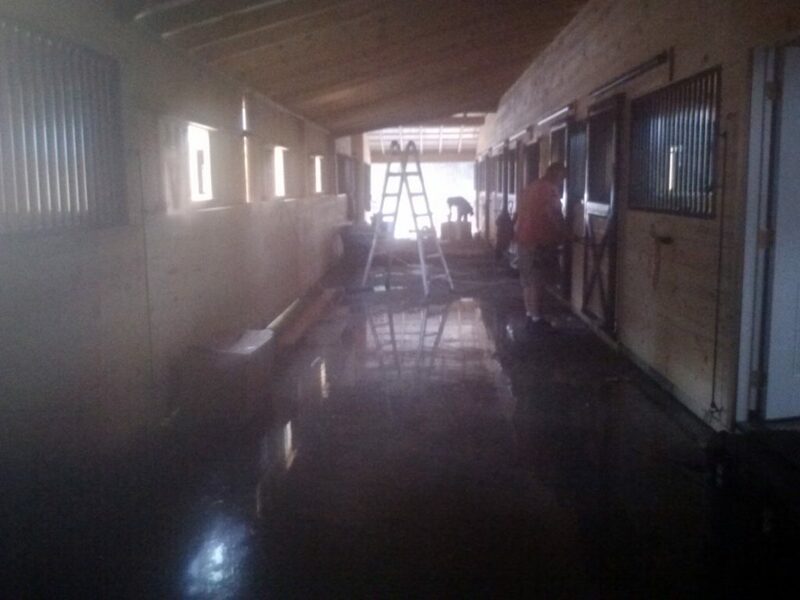 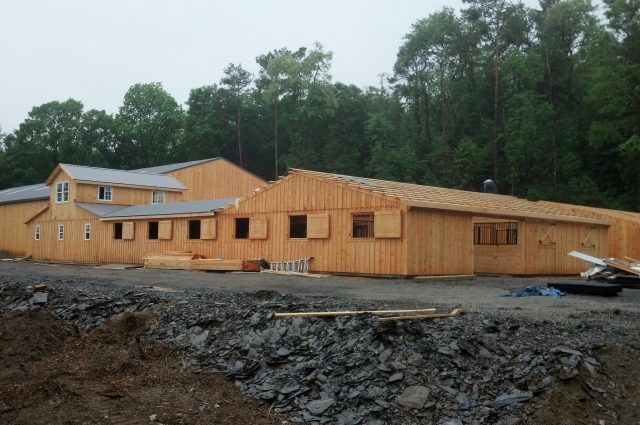 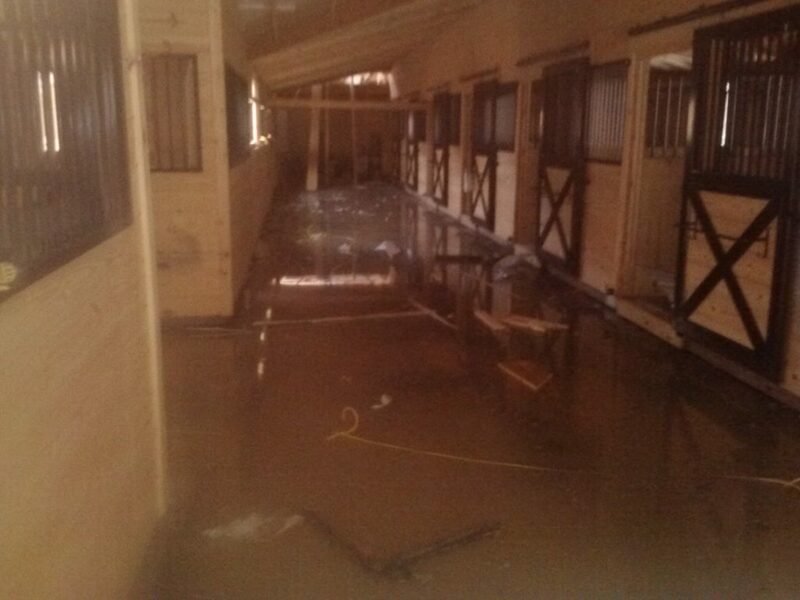 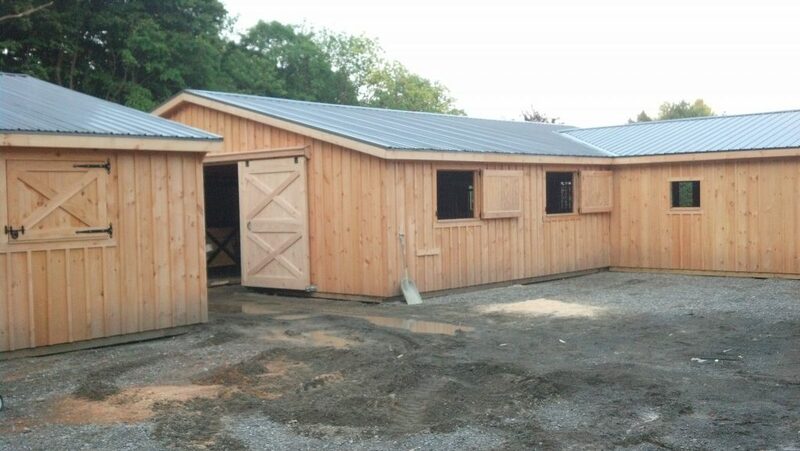 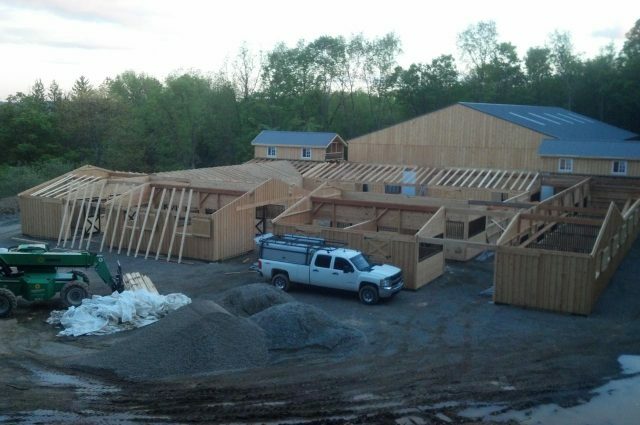 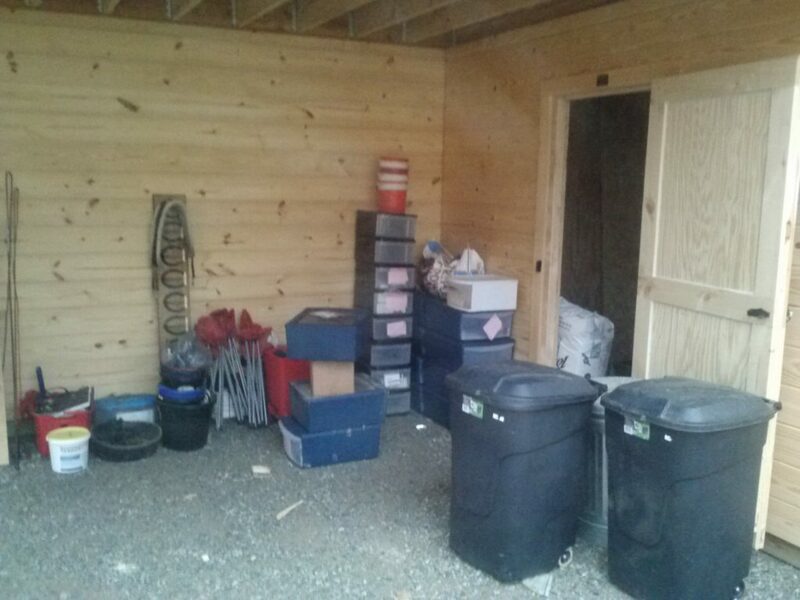 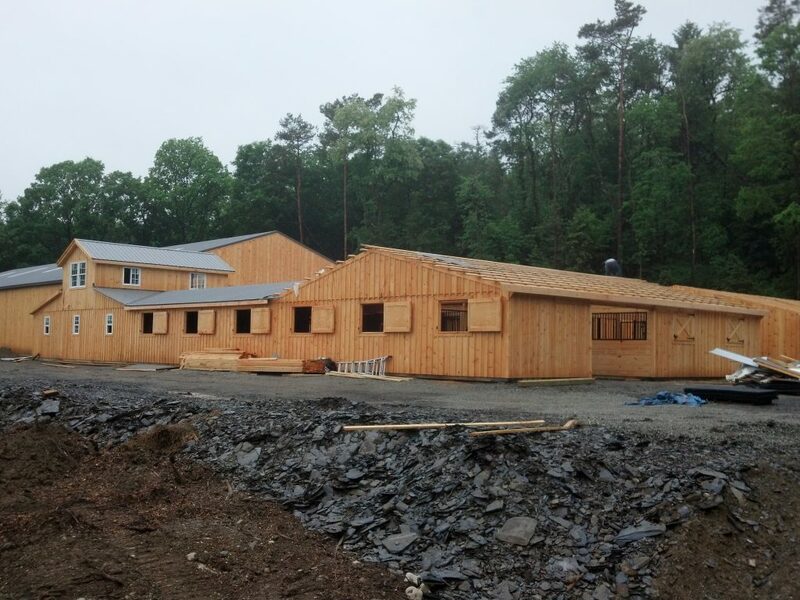 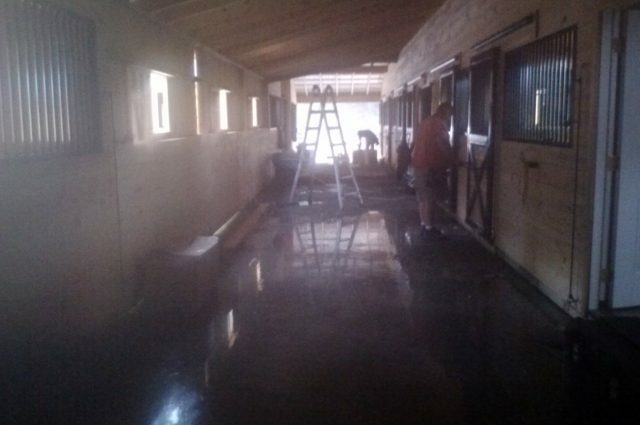 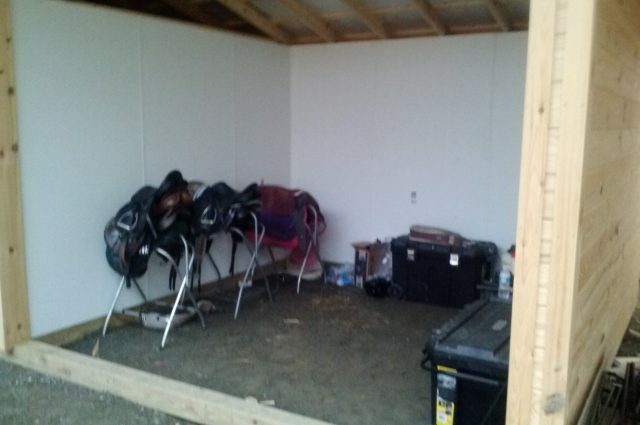 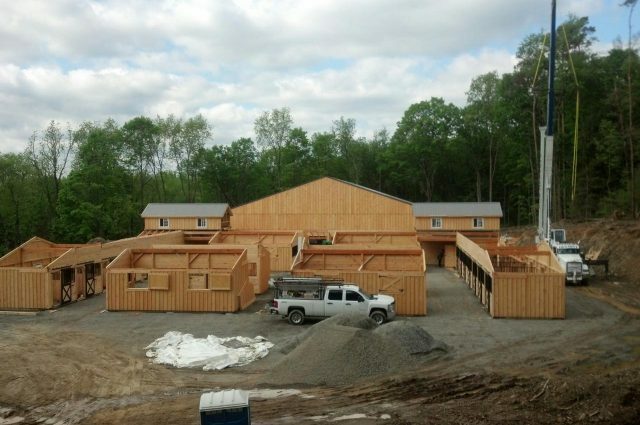 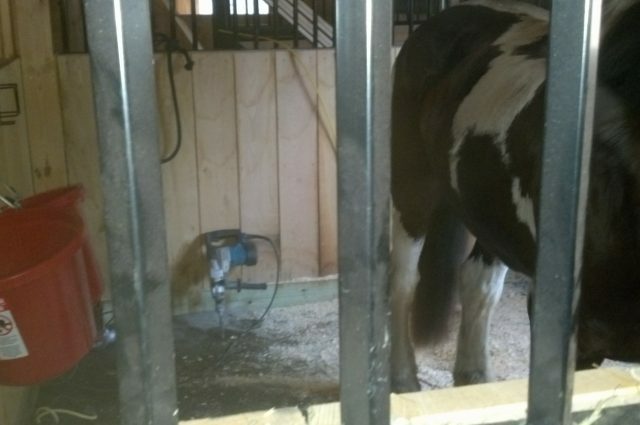 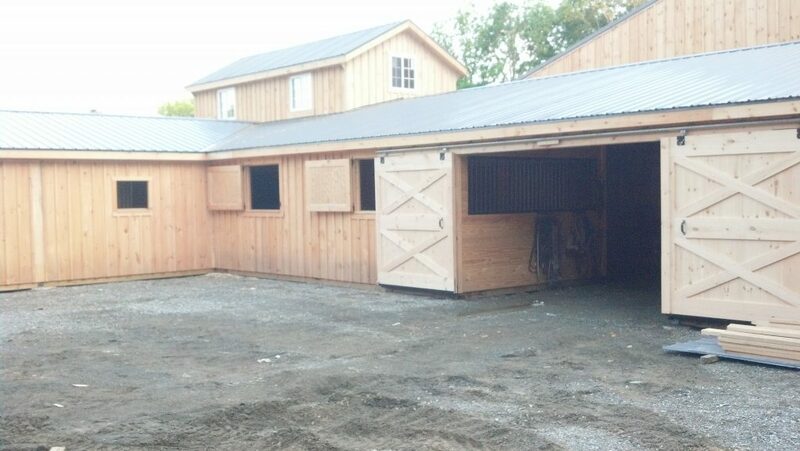 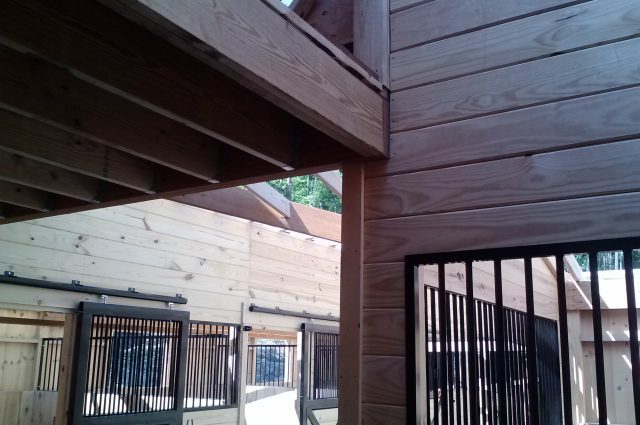 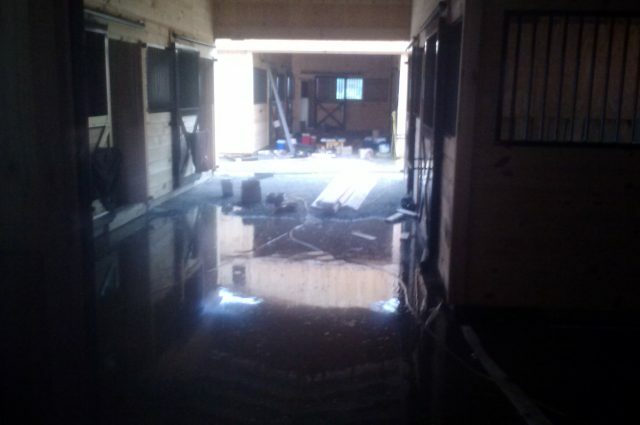 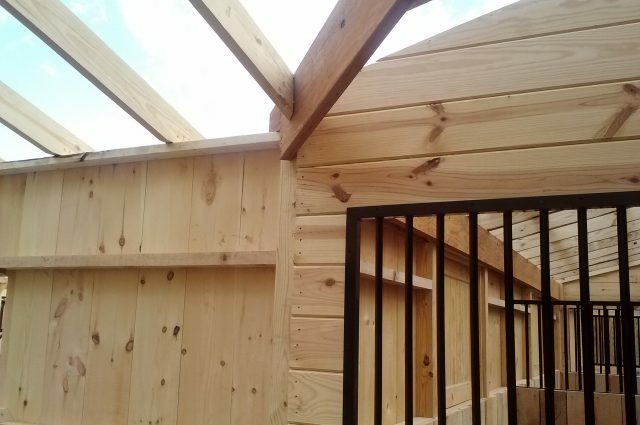 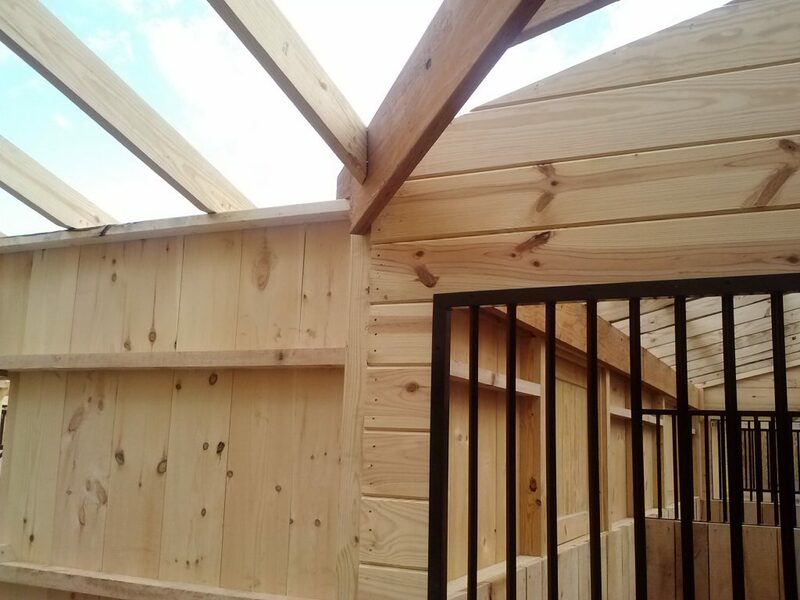 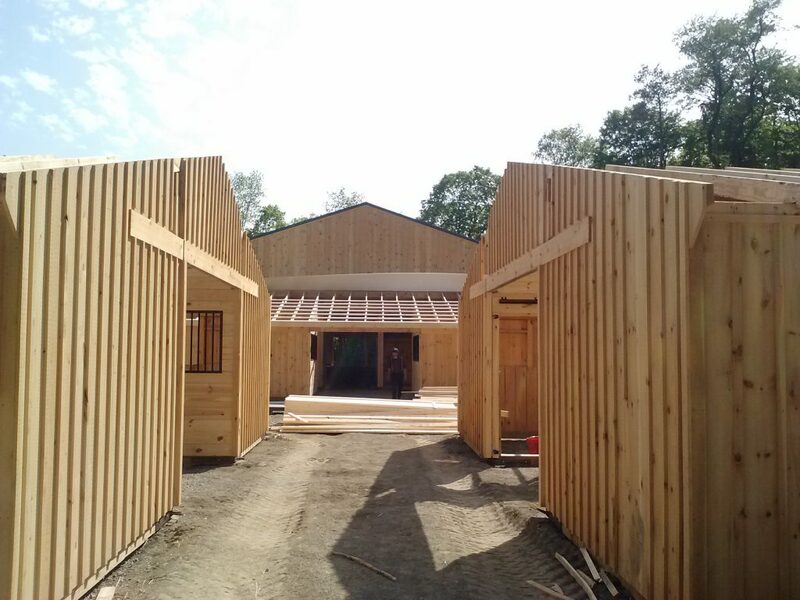 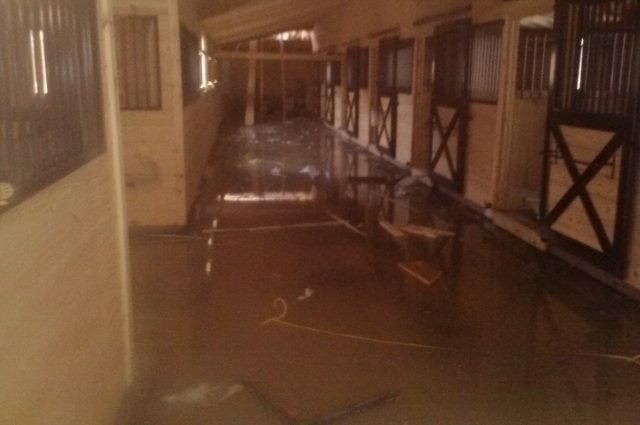 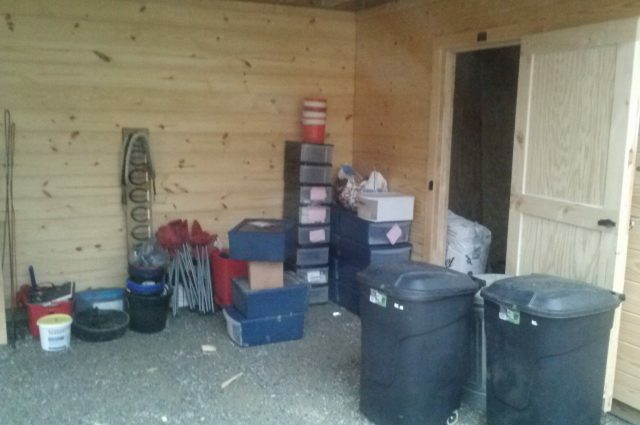 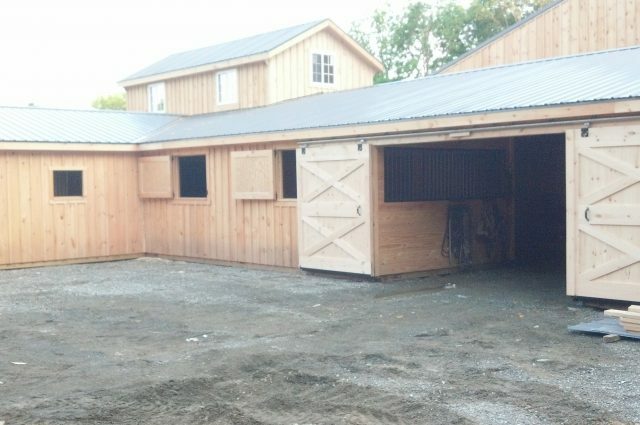 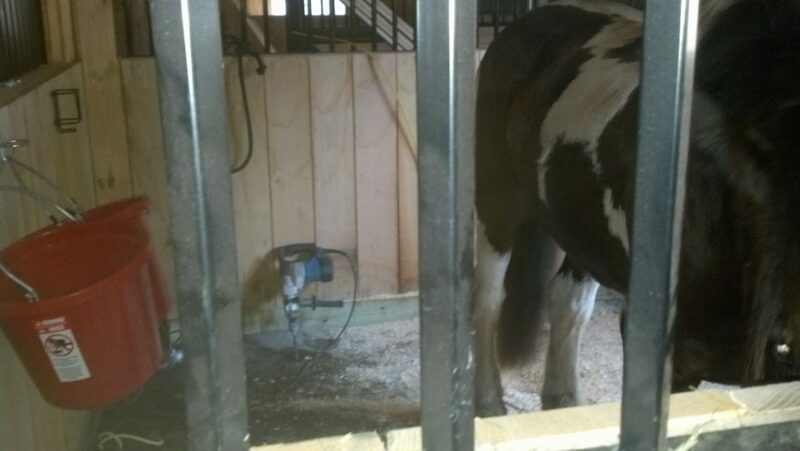 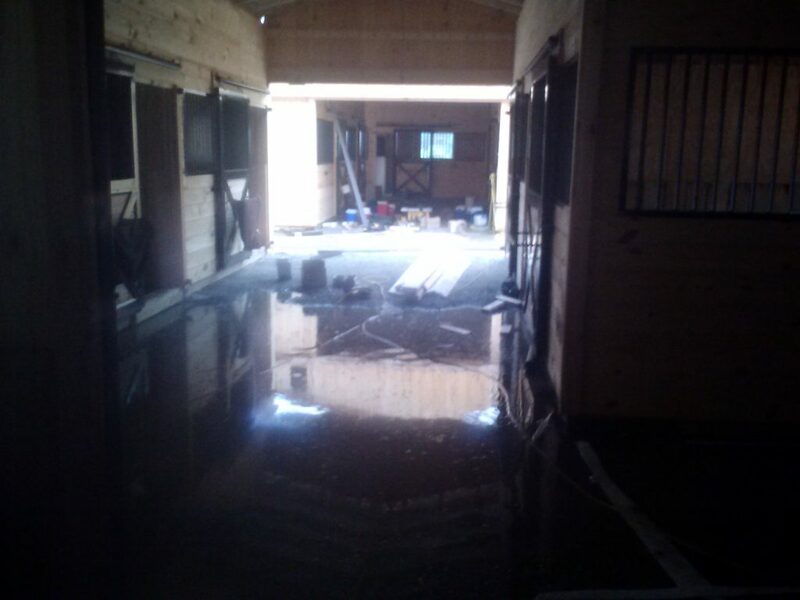 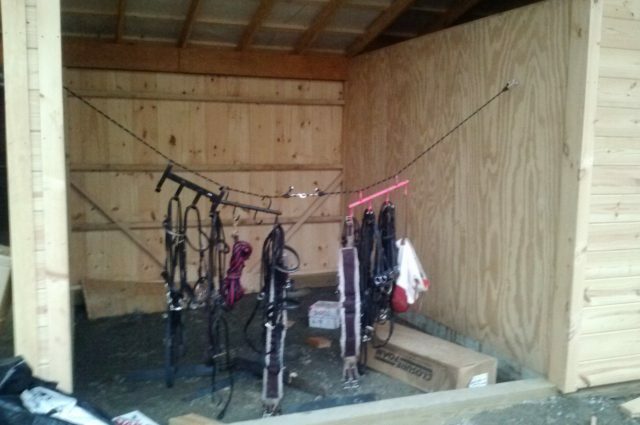 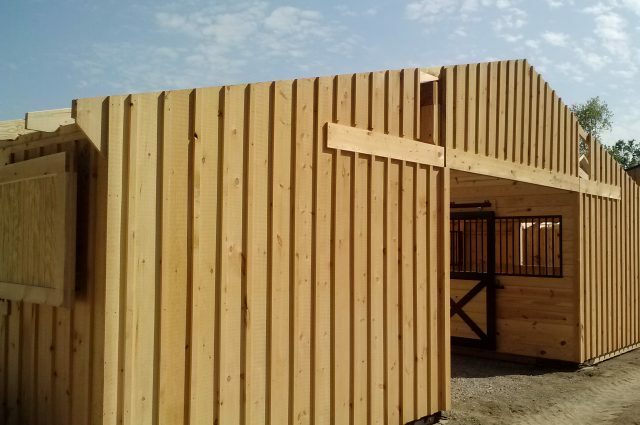 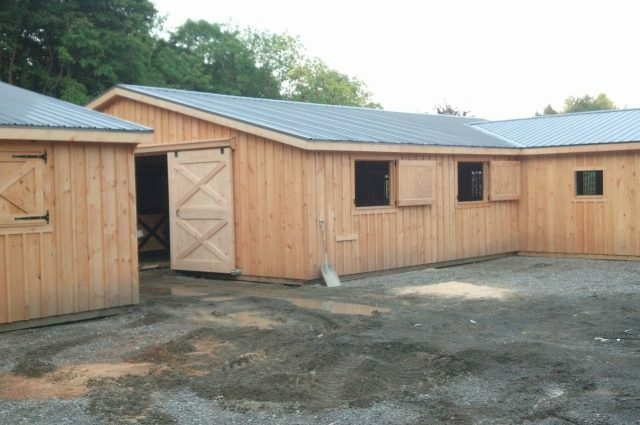 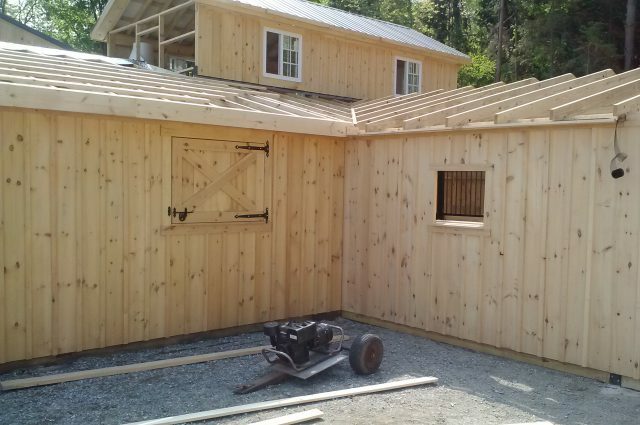 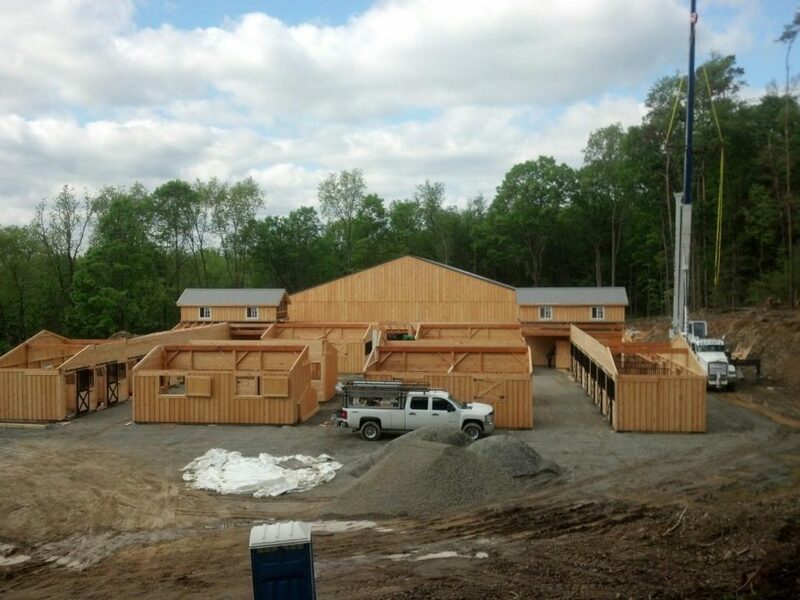 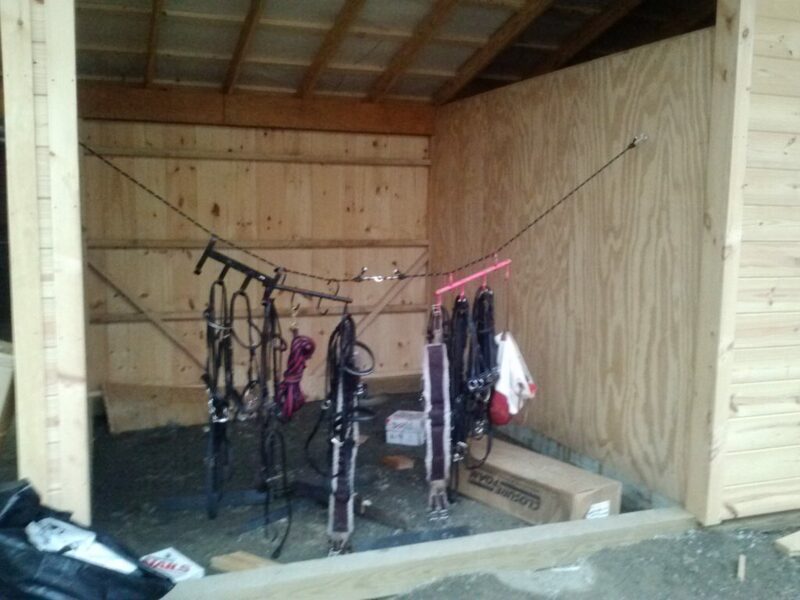 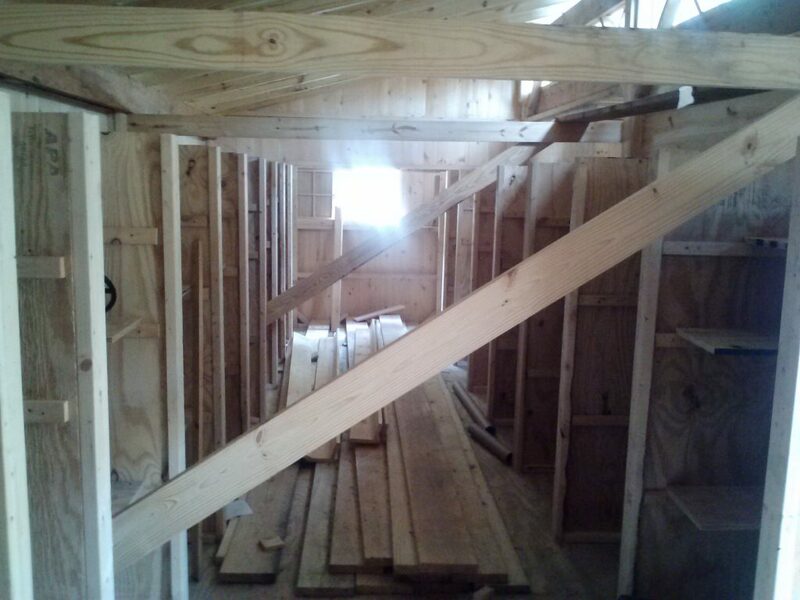 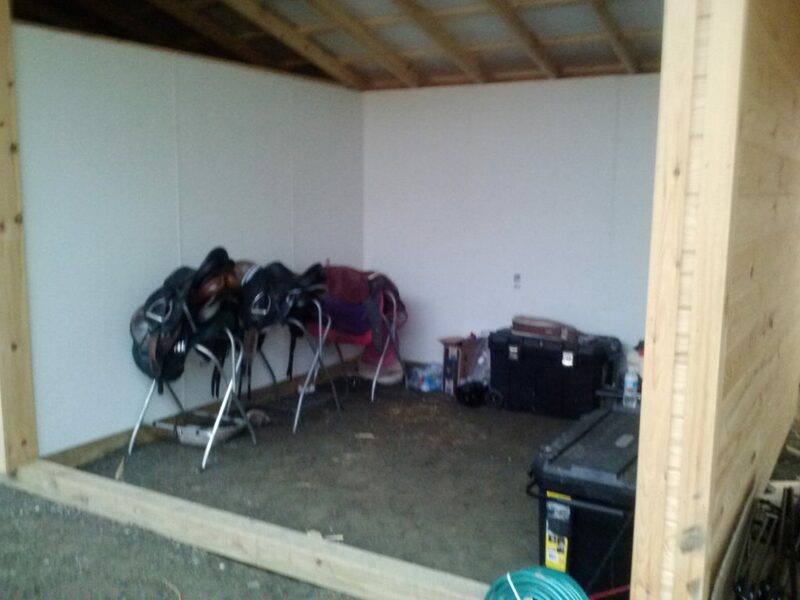 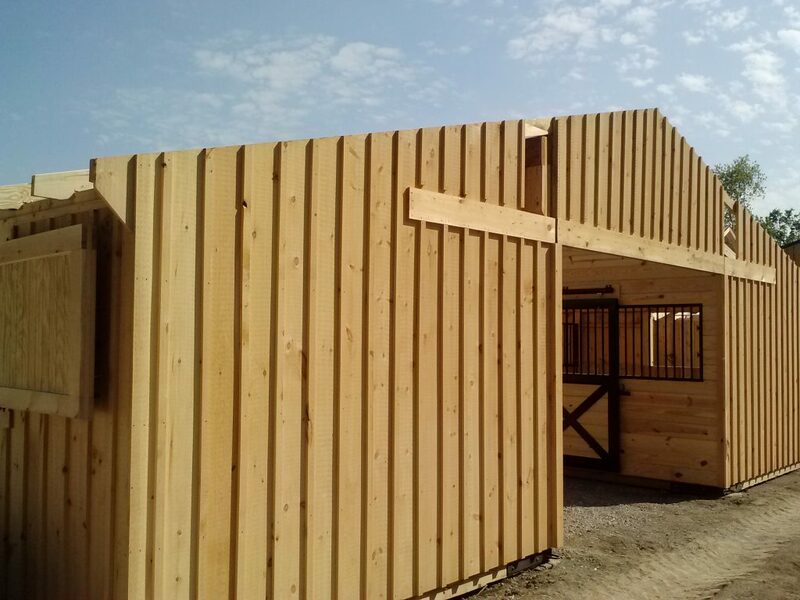 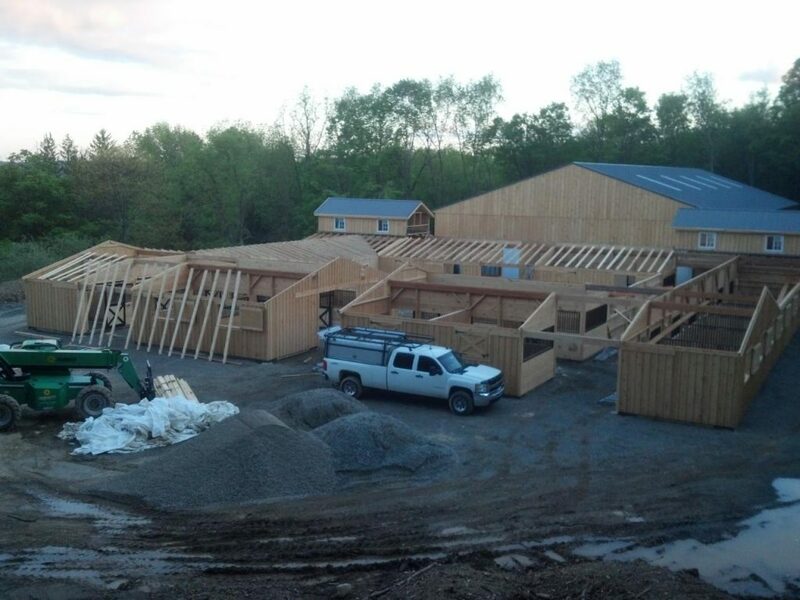 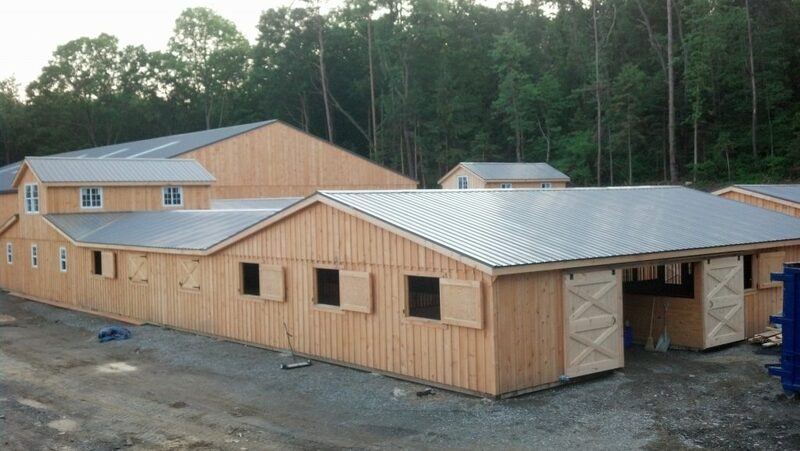 22 stalls, 4 tack rooms, 2 staff quarters, and 6 sets of sliding doors are built within the 108×108 square foot walls. 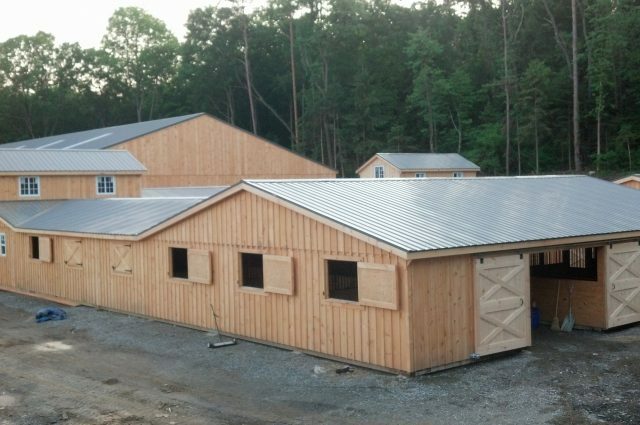 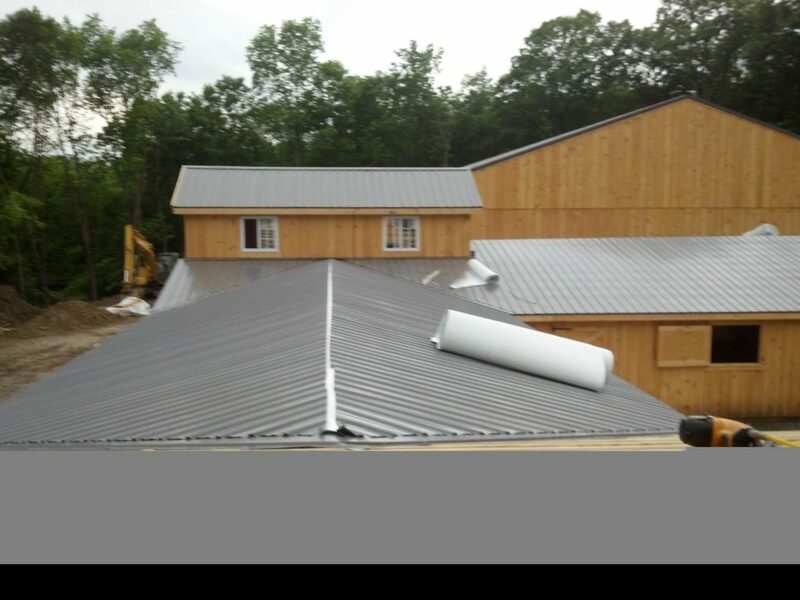 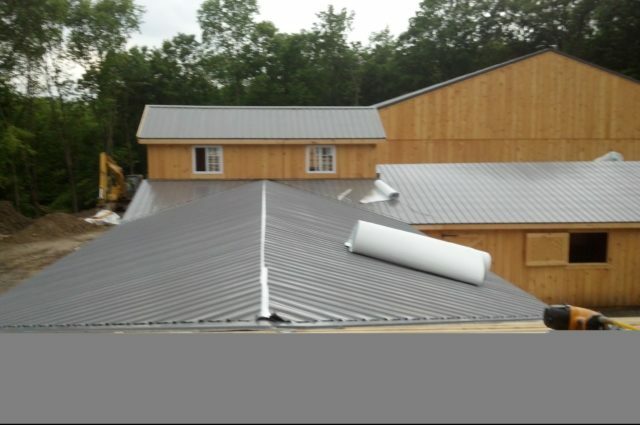 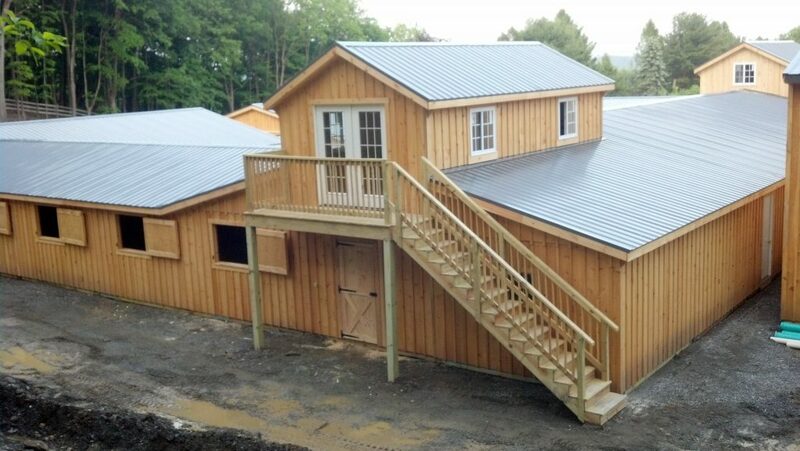 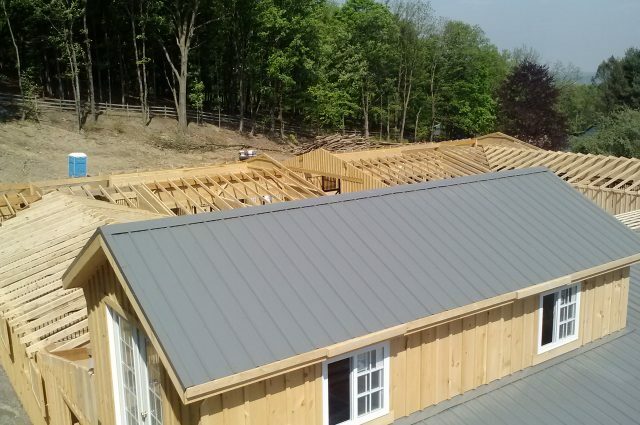 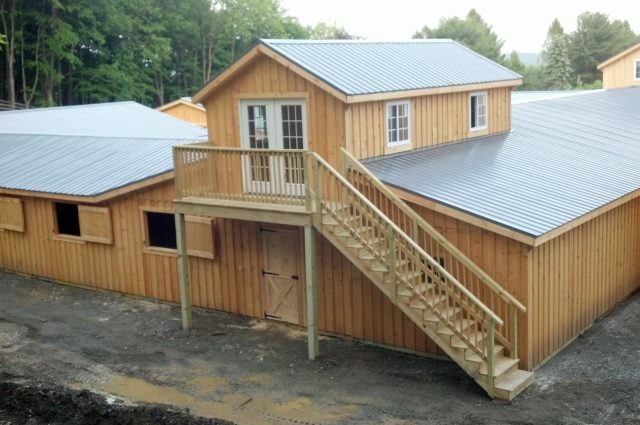 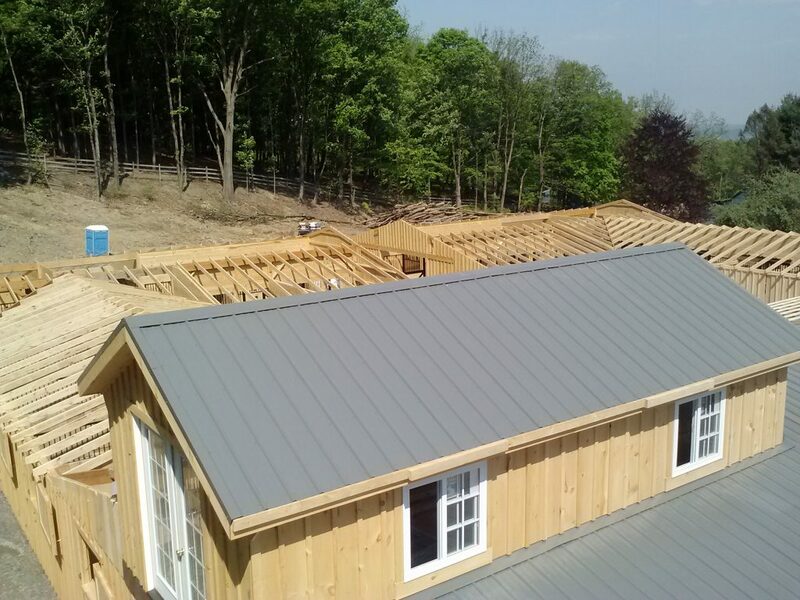 Its natural color stained board and batten siding with a gray metal roof are two timeless features to this large structure.